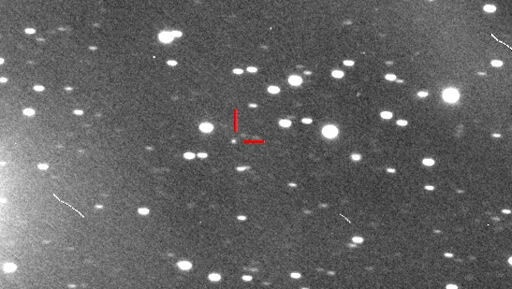 Two Bright Comets for 2013? After a while without a really bright comet, we might just be in line for two next year. If things go as expected, (But you never can tell how comets will behave!). Click here to see my diagrams for their possible appearances next year. Or here for animations of their appearances. Costing less than a pint of beer, how could you not? Comet C/2011 L4 (PANSTARRS) could be very bright in March, heading north and passing close to the Andromeda Galaxy in early April in the early morning sky. Path of comet C/2011 L4 from now until next April. In November 2013, Comet C/2012 S1 (ISON) could be an extremely bright object as it passes very close to the Sun. It could be a naked eye object for a couple of months. It is currently in Gemini, where it will stay for quite a while. It will then pass through Leo and Virgo by the middle of November 2013. At the end of November it will pass close to the Sun, then heads almost directly northwards. 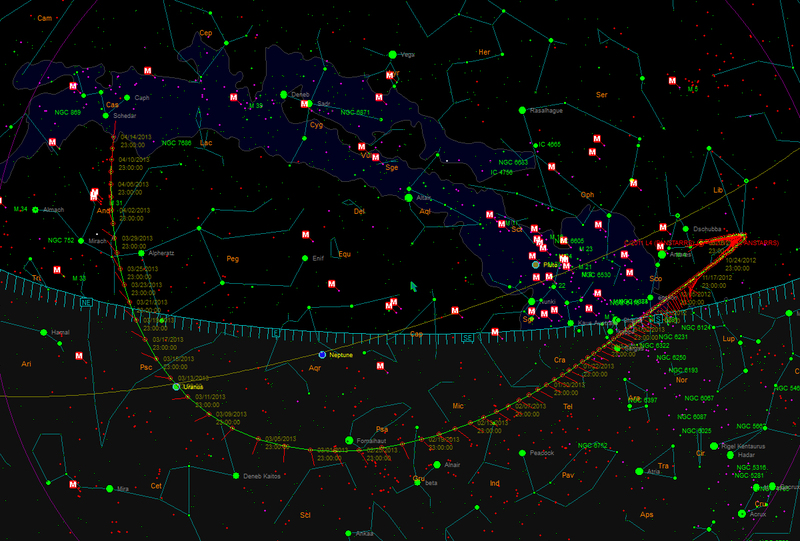 It passes not too far from M13 on the 21st of December. It will then pass a few degrees away from Polaris on the 7th of January. 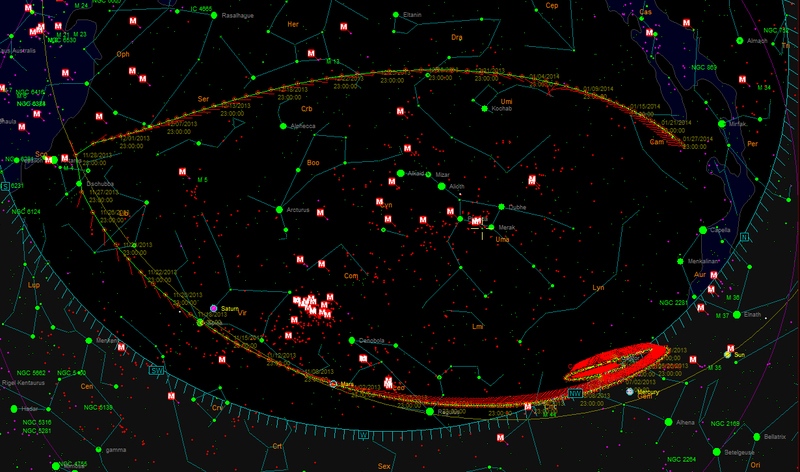 Path of Comet C/2012 S1 over the next year and a half. More details on the Sky & Telescope Web page. More details will be posted here closer to the events, showing more detailed finder charts. 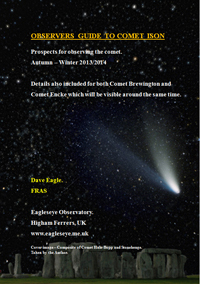 See the SkyHound Web page for more comet news. Is that apparent retrograde motion of ISON? Regards for composing “Two Bright Comets for 2013?